Deryck Whibley is a Canadian musician and producer born in Scarborough, Ontario. He is best known as the lead vocalist, guitarist, songwriter and producer of the Juno Award-winning and Grammy Award-nominated punk rock band Sum 41. He started Sum 41 when he was in high school. 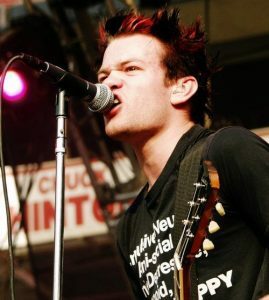 Born as Deryck Jayson Whibley on March 21, 1980 in Scarborough, Ontario, Canada, he was an only child to a single teenage mother and has never met his father. He has been married to Ariana Cooper since 2015. He was previously married to singer Avril Lavigne. *He is a only child with no siblings. *He was only 14 when he started playing guitar. *He is the first husband of singer Avril Lavigne.